When In Manila., and the summer heat wave gets to you, then there’s only one place to be…. 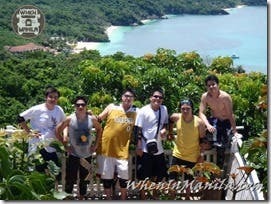 the summer party capital of the Philippines, internationally known only as the beautiful island of BORACAY! 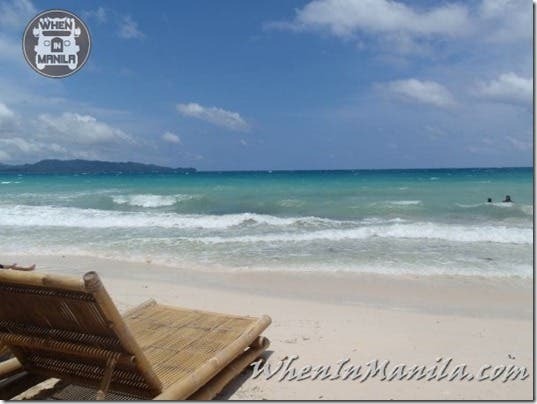 Though a typical island stay would consist of doing “NOTHING” and lots of it… Boracay (not to be called “Bora” according to many yuppie purists) is quite different. There’s just way too much fun to be had on this party island and I’ll be damned if you just sit around and do nothing! Here’s our list of the Top 10 things you NEED to do in Boracay! 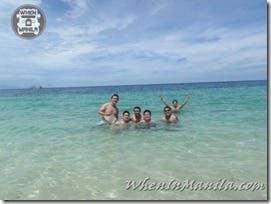 It’s a nice, relaxing and fun thing to start off your Boracay adventure. Take a plunge into medium depth waters and see the colors that the ocean can produce. 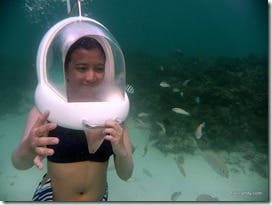 Feed the fish and find Nemo as you walk underwater with your air helmet. 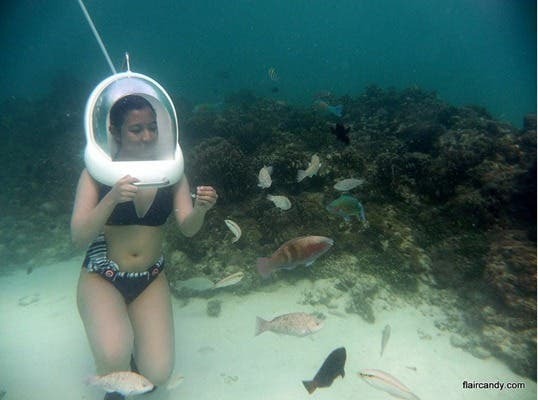 It’s a pretty laid back, safe and easy alternative for those non-pros who aren’t quite ready to go scuba diving to the deeper parts of Boracay’s waters. You can’t come to an island without trying some yummy sea food! I’m pretty sure there’s a law somewhere that states this fact. Fresh sea food from neighboring fishing towns keep the supply of giant prawns, lobsters, crabs and fish abundant in the island of Boracay. It’ll seem like everything you see here is something you’d want to chow down on! 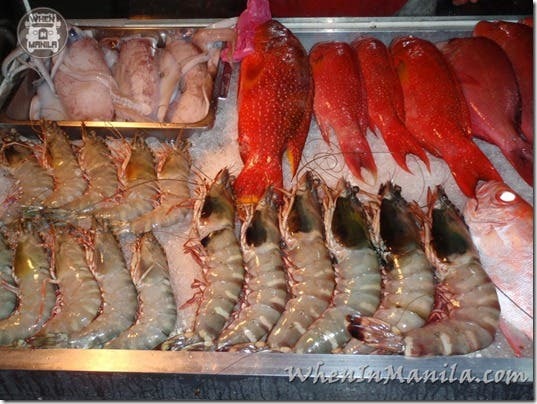 Boracay Sea Food cost: Varies depending on dish and restaurant. Yes, I know, it may seem lame to those with real tattoos, but I’m assuming that majority of people don’t quite have a real tattoo yet, so this is the perfect gateway drug for that…. Why not get that Henna Tattoo you’ve always wanted that’ll come off in a few weeks? Go for it! Everyone on the island is doing it! OK, let me break it down for you… You’ll get to play on this cool 4×4 ATV toy and drive it around the beautiful Boracay Island. 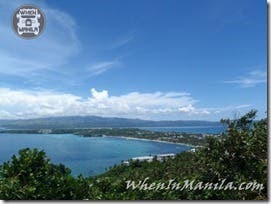 You’ll make your way to the peak where you can get a virtual 360 degree view of Boracay Island. Then, you can also choose to drive your ATV to the other side of Boracay where the water is just as clear and beautiful, but without the crazy Boracay crowds so that you can get some real relaxation and quiet. Can it get any better than that?!?!? 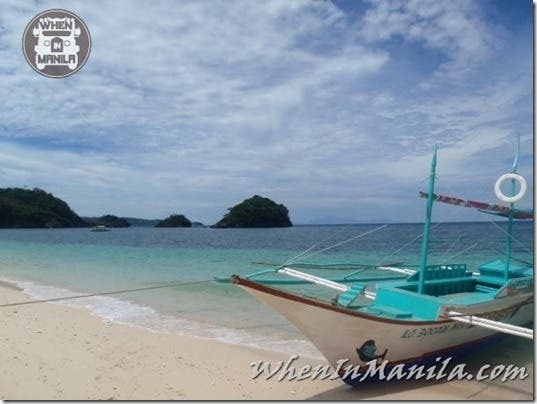 Oh yes… this is only number 7 of the Top 10 things to do in Boracay baby! 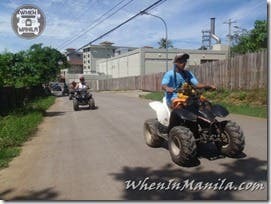 Boracay ATV 4×4 rental cost: Varies from P300 – P1000 per hour depending on size. You can negotiate package deals in big groups to include a tour.